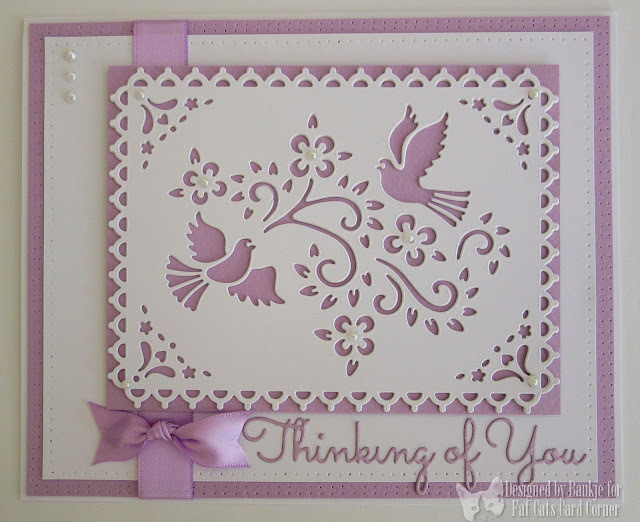 I have some new cards to share with you, that I made for Kaaren at Fat Cats Card Corner. 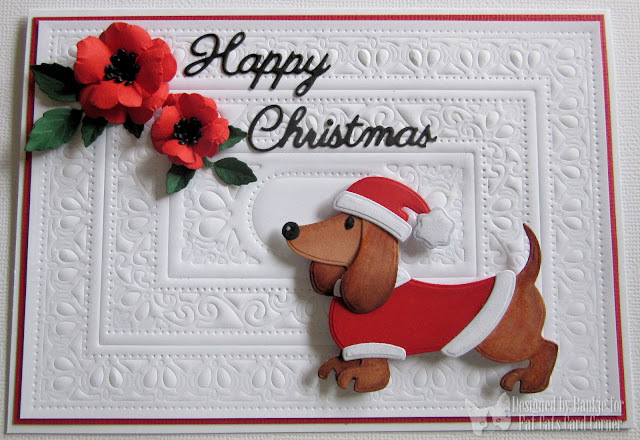 I used the entire Sue Wilson - Swiss collection - Background to create the embossed background. The Marianne Collectable COL1411 Doggy was cut and coloured and raised up with dimensional tape. Flowers - Sue Wilson Christmas Rose. 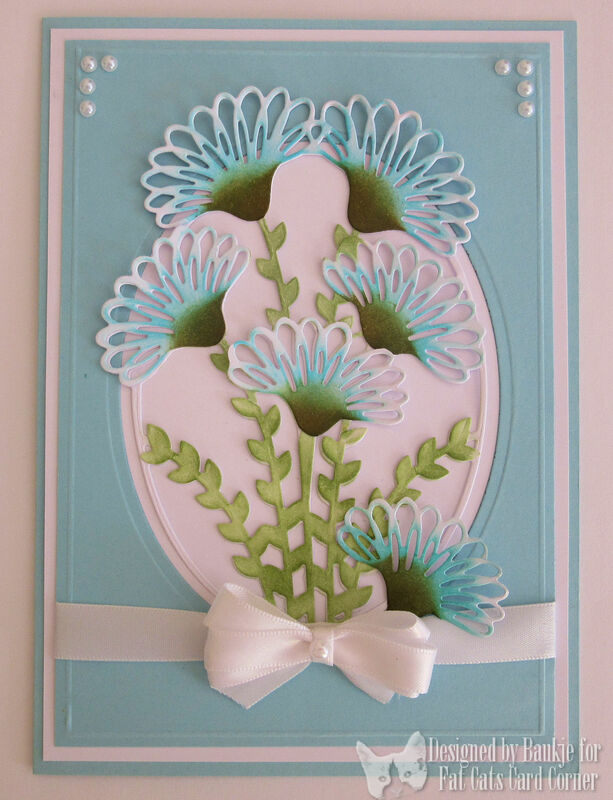 I used the tutti Designs - Frilly flower Frame I cut the die twice in white card and coloured one set of the flowers and layered them on top. I added some ribbon and flat backed pearls from my stash. I have used the tutti Designs Bird Tapestry Die as well as the Tim Holtz piercing ruler and some ribbon and flat backed pearls from my stash. Sentiment is from the Impression Obsession die set. I cut the die once in white card then cut it again in thicker white card to give it a bit of dimension.